Features a brushless motor for increased efficiency and runtime. This unit has a compact (5.5 in. front to back), lightweight design (2 lbs.). Kit includes: (1) DCF890 - 20V MAX XR 3/8 in. 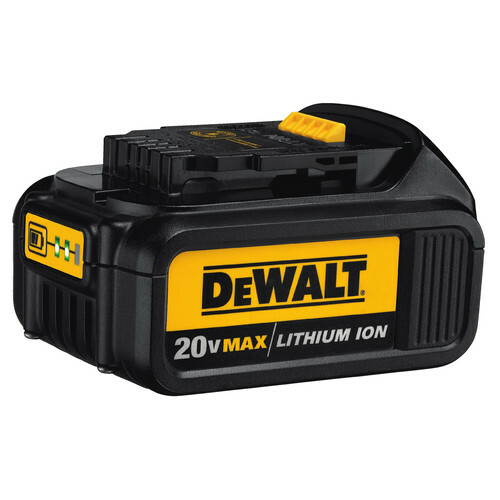 compact impact wrench tool, (2) DCB204 - 20V MAX XR lithium-ion batteries, (1) DCB115 - fast charger, tool bag and belt clip. Compact and ergonomic with only 5.5 in. head length and 2 lbs. (tool only). I’ve owned this drill for awhile now and it has held up great! No complaints! Very easy to use and I’ve dropped it from 20 feet and still works perfect! I've been using this tool for about 6 months now. I have a lawn and landscape maintenance company and I carry this on my truck to remove lug nuts when a flat occurs (truck nuts torqued to 140 ft lb, trailer 80 ft lb and to switch out blades (mower 85 and 60 ft lbs) on the job site. I was a bit skeptical at first since it "only" has 150 ft-lb of torque, but I haven't been faced with a bolt it can't remove yet. I had watched a review on youtube saying it was under-powered, but I guess that really depends on your application. I am sure they are out there, nuts this tool can't remove, but for my application it has not disappointed. It does have a protective feature that helps keep the tool from overheating, which I have only triggered twice. I didn't particularly like it, but it hasn't happened much, this is why I gave it 4 stars verses 5. When I travel in my wife's I throw it in the back just in case. I like that it is much lighter compared to the mid-range impact wrench, which I keep in my shop. I bought my dad one of these, since it has not disappointed me and it is handy to have around. 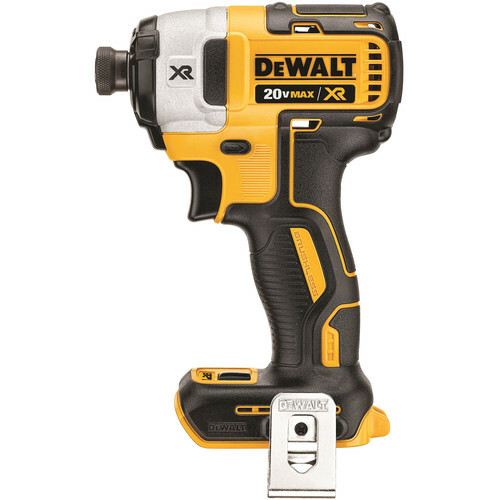 I use impact wrenches daily and this impact wrench has both compact size and power to making it easy to use. The batteries last long under heavy work load. Strong build .Good for tight places. I really like the compact impact wrench, but can it remove and install vehicle lug nuts? Why does the non-brushless put out 300 pounds of torque and the XR BRUSHLESS 3/8” impact only 150 pounds torque?